On your landing page, you have a great headline, a unique value proposition, and a lead magnet or incentive to give in exchange for your audience’s email address. But you have a problem: No one knows that your landing page exists! You know that any landing page is useless if it doesn’t get traffic. Attracting traffic to your landing page can be a challenge but it’s never impossible. The thing is some marketers immediately resort to Google AdWords or Facebook Ads to get traffic because they believe that just because they spend money, they can expect visitors to come flooding in. Even if you’re sure about the keywords you use in your ads, there’s no guarantee that you’ll occupy the top positions of Google. All these keyword bids to boost the performance of your campaign can leave you wasting money. And once you stop your budget, your traffic also stops. Since the amount you spend on advertising doesn’t guarantee conversions and sales, it’s good to learn some free ways to generate landing page traffic. I’ll introduce you to 6 simple techniques in this article. Many businesses care about growing their social media audience. However, only a few of them think about really engaging their followers. Why is social media engagement so important, anyway? The power of engaging your followers cannot be underestimated when it comes to generating traffic. Interaction breeds trust. When people trust you, they become receptive to your invitations and messages. What if you don’t have that many followers yet? In that case, you need hashtags. Hashtags make your social media content discoverable. For example, when someone types #yoga, Instagram or Facebook shows you the latest post with that keyword. So, your posts that link back to your landing page or invite followers to check out your Instagram bio link (in the case of Instagram) should be accompanied by hashtags. Start looking for hashtags that are related to your business. This increases the chance for your target audience to find you. The harsh reality is that social media is saturated with business posts that compete for an audience’s attention. One of the reasons why people ignore these posts is that they’re hard sells. It can also be that a brand keeps talking only about themselves. So, it’ll take more than a clever post to get the landing page traffic you so desire. Take the spotlight away from you. Instead, focus on your customers and brand advocates. Focus on delivering value to their lives, thinking more about how they can benefit from you. 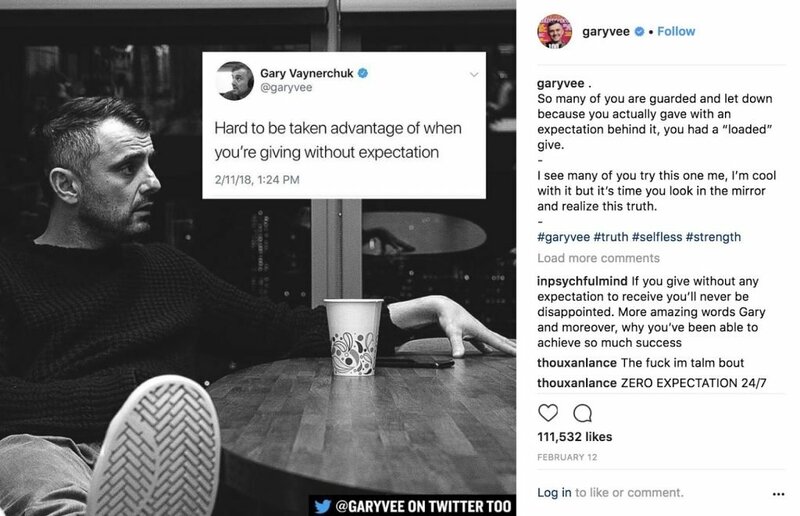 The screenshot above shows Gary Vaynerchuk, a famous entrepreneur, and speaker. As you can see, his Instagram post, “Hard to be taken advantage of when you’re giving without expectation” is thought-provoking. It connects with his ideal audience’s emotions and makes them realize something they hadn’t before. This post makes him much more interesting, to the extent that a person who sees this for the first time will want to check out for more. Similar to Gary Vaynerchuk, invest in your audience by sharing valuable posts every now and then. Once you’ve established that relationship, you can start pointing them in the direction of your landing page. You can create the most engaging experience for your customers by leveraging Facebook Live. When it comes to video content, Facebook Live trumps pre-recorded videos. It’s in the moment and it’s real. People can communicate with a brand as the video takes place. Great ideas include stream live videos to conduct how-to tutorials and hosting Q&A sessions. 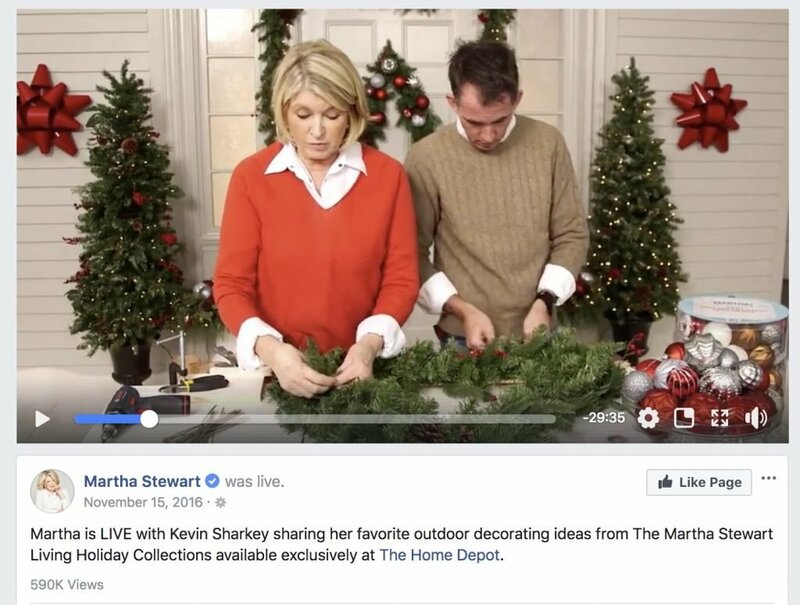 Martha Stewart uses Facebook Live to show a DIY holiday decorating tutorial. In her live video tutorial, she occasionally mentions where viewers can buy the materials. You too can create such engaging live videos. Lead your audience to check your landing page out by including a link in your video description. Like Martha Stewart, talk about the landing page and the freebie that awaits them. Targeting groups that are related to your niche is one way to tap into a new traffic channel. Such communities include social media groups, forums, and Q&A websites. In these communities, people share their interests and sentiments. You’re given the chance to jump in and share your thoughts. The responses or answers you write, given that they’re compelling and well-researched, help you catch people’s attention and compel them to visit whatever link to your website you leave. The trick to generating landing page traffic is to write something that piques people’s curiosities. Imran Esmail leverages Quora, a popular Q&A website, as his traffic driving machine. He uses a tactic which he calls Don’t Sell the Farm. This tactic entails giving away valuable answers to Quora questions but not giving too many details. It’ll leave readers wanting for more. He answers this question by outlining a four-step process. In his Step 2: Become a Best-Seller (6 months), he doesn’t give all his tactics away. 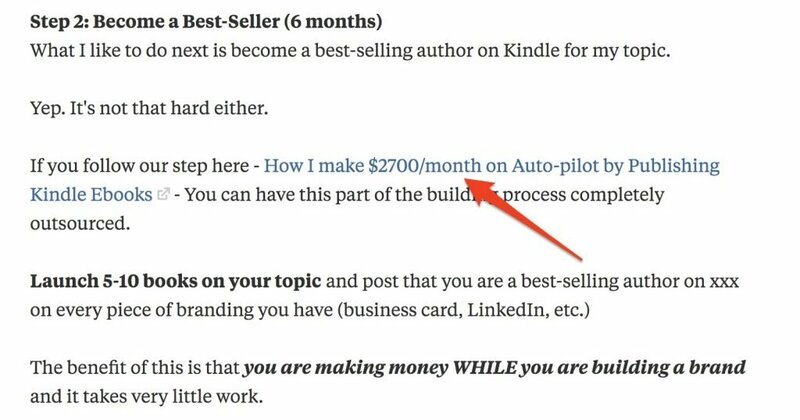 Instead, he includes a link to his case study “How I make $2700/month on Auto-pilot by Publishing Kindle Ebooks.” On that page Imran Esmail would collect people’s email addresses if they wanted to stay updated on his series. You can use the exact same strategy to drive landing page traffic. Just remember that when participating in forums, groups, and Q&A sites, target conversations that are getting a lot of engagement. Most marketers feel content with getting people to arrive at their landing page. Only a few think about giving it a viral boost. But is it really possible to make your landing page go viral in a way that one subscriber results in one, two, or more subscribers? Yes, it is! The strategy is to promote a contest on your landing page. 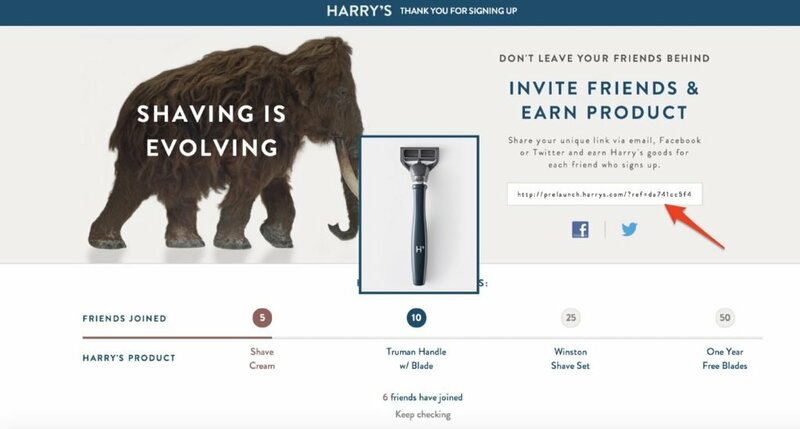 If you know the story of Harry’s, a New-York based grooming brand for men that sells shaving products, you would want to apply the same technique they used to gather 100,000 emails in one week on their prelaunch. To get more people to discover their landing page and signup, Harry’s required each visitor to share their page using a unique share link. In exchange for sharing and getting their friends to sign-up through the link, they incentivized people with their own products. Whatever incentive you feature on your landing page, it has to immediately get people involved. Don’t forget to incorporate a unique invite link as this is the mechanism by which you gain more landing page traffic. Start promoting your landing page contest to your social media audience. Tell them that you have something special to give. Make it clear that all they need to do is share the page with their friends and that their friends sign-up to get the chance to win. To help people launch contests that have the potential to generate more traffic in less time, we created Lean Affiliation. Lean Affiliation is an easy-to-use affiliate application that integrates with your existing landing page and creatives. Ever thought of making your landing page search engine friendly? SEO is not something you can ignore if you ought to drive landing page traffic from the number one search engine, Google. It’s smart to capitalize on the billions of searches that take place on Google each day. As of today, the number is at least 3 billion. Using SEO as one of your tactics, you’ll be tweaking specific elements of your landing page. Doing this increases the likelihood of your landing page to show up in search results. To this day, keyword research remains to be one of the foundations of SEO success. Start by thinking of seed keywords (or basic keywords) that best relate to your landing page. Enter a seed keyword into a keyword research tool like KWFinder to generate a final keyword. Pay attention to keyword difficulty and average monthly search volume. Based on the results above, you’d want to choose the keyword “bad credit loans” because it has a low difficulty score and a high search volume – 299,852 monthly searches. Before using your chosen keyword, check whether the results that come up when typing in that keyword brings up pages with the right search intent. Being sure about your keyword intentguarantees that you attract qualified traffic. Include your target keyword in the following areas of your landing page: Title tag, meta description, header tags, image file names, and landing page copy. Avoid keyword stuffing. 4.2. Write a compelling meta description. The meta description is a snippet that provides a summary or overview of a page. It shows on SERPs when a searcher types in a keyword that the meta description itself contains. Google has made it clear that meta descriptions are not a ranking signal. But because they influence your click-through rates, consider them important. Make your meta description as interesting as possible as if it were an advert for your business. Use an active voice to engage any potential visitors. Yes, it would be necessary to include keywords since keywords point out to people that they are looking for the right page. Google and users discover your landing page by following links. Link building is an effective way to attract traffic, not just rank. The first step to link building is finding the best sources for links. You’d want to start reaching out to bloggers with an engaged following. Approach these potential partners to pitch a guest post. Consider partnering with an influencer who can get you more traffic in less time. Have you thought about the traffic that you already own? Don’t put all your focus on getting new traffic that you forget the subscribers that you already have on your list. After all, you have other reasons why you’re driving traffic to your landing page aside from building your email list. You might be wanting to promote awareness of your product, drive sales, or get more participants for your webinar. Emailing your subscriber list about your recent landing page is a simple way to drive traffic and increase your conversions and sales. 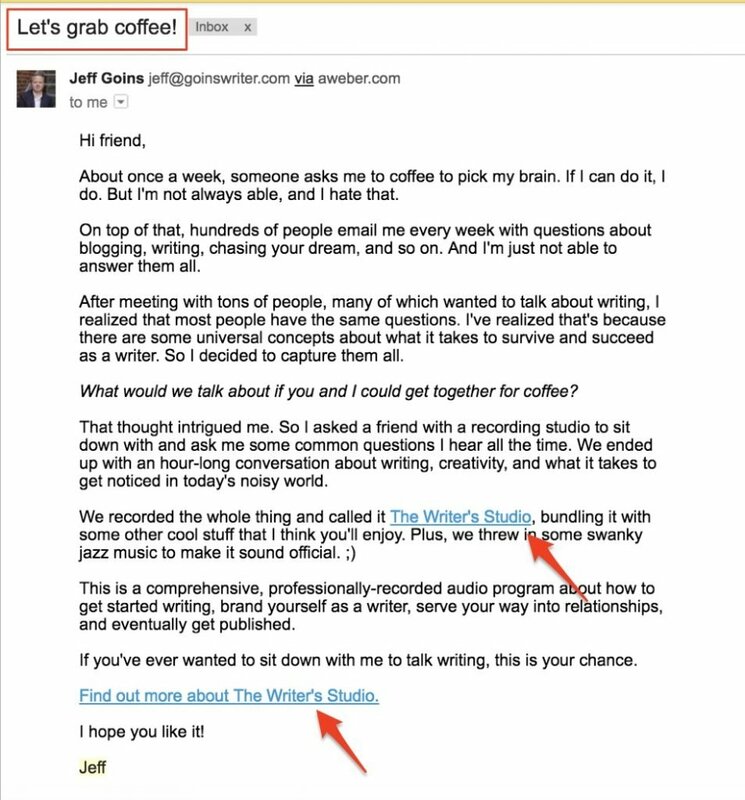 Jeff Goins’ subject line reads “Let’s grab coffee!” This subject line uses personalization. Goins is a writer himself and knows that most writers love coffee, and so he uses the topic of coffee to entice people to click through. Notice that the subject line uses only a few words so it doesn’t get cut off when recipients read with their mobile device. Don’t try to make your email about several things. This takes away the focus on a single landing page. In Goins’ email, he sticks to the topic of his writing course. Use this strategy to get your point across and avoid confusing your audience. “What’s in it for me?” is the question you should always be prepared to answer. Goins doesn’t just mention all the things that you’re going to get by joining his course; he starts off his message by introducing a problem. A situation that conveys a need among your audience will make your benefits even more meaningful. Lastly, incorporate the link that takes your subscribers to your landing page. Goins does this twice. 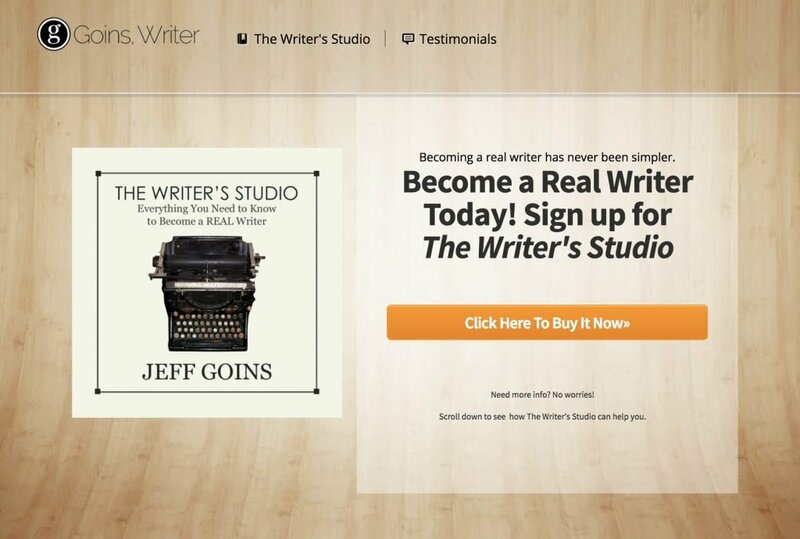 He uses two anchor texts – the first one which reads “The Writer’s Studio” and the second one which is “Find out more about The Writer’s Studio.” Adding your landing page link more than once reminds readers to visit the page. Below is a screenshot of Goins’ landing page. I briefly mentioned about guest blogging as an SEO technique to generate landing page traffic. I’m going to expound on the idea of guest blogging right here. Let me tell you that guest blogging is one of the best traffic and lead generation strategies. 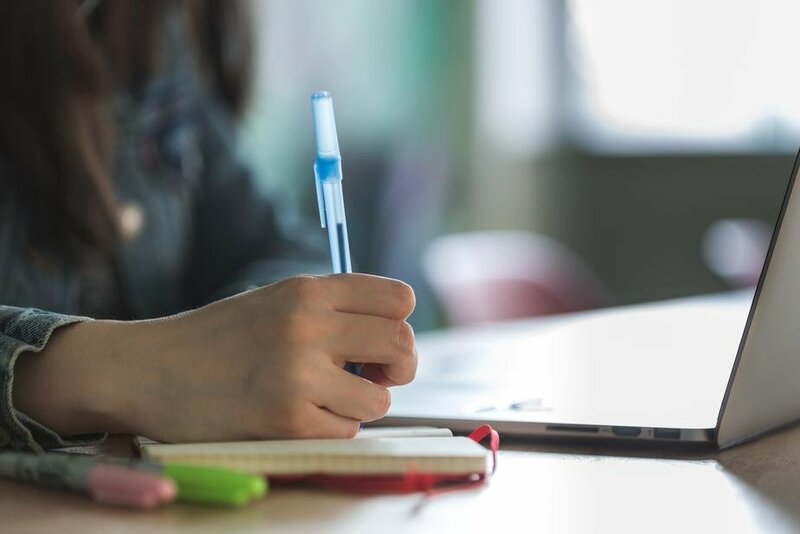 Writing an effective guest post will help you generate a handful of audiences for your landing page not only once but even years after your post has been published. You can’t qualify guest blogging websites based only on metrics like domain authority (DA) and page authority (PA). While these metrics are great to consider, they do not show the real picture of a site’s engagement level. Pay attention to the number of comments a site gets especially with their newer posts. Most importantly, target websites with topics that are relevant to your landing page. Before you send your pitch, engage with your target site. Comment on their posts while adding value. Doing this will help you get noticed, which means that it’ll be easier for the site owner to respond to your email pitch. Make sure that you suggest a title and an outline based on the website’s guest post guidelines. When you finally write the guest post, keep it simple and understandable. Since you’re linking to a landing page where you want conversions to take place, be sure that your entire piece aligns with the subject of your landing page. Use a relevant and low keyword density anchor text. There is no point in having a landing page if it has no specific purpose. Whether your goal is to increase your email signups (this one’s a given), make money, invite attendees for your webinar, etc., traffic is the secret sauce that will make your landing page goals come true. Lean Affiliation offers you a system to execute marketing campaign successfully from start to finish. With it, you can do various things – upload creatives, follow up leads events with emails, track campaign results, and more. Learn more about Lean Affiliation today.